Hawthorne Ridge, a desirable Ann Arbor neighborhood, currently has 0 homes listed for sale and so far this year, 3 homes have sold. 2301 Moss Rose Court, Ann Arbor. $250,000. 2216 square feet with 4 bedrooms and 2.1 baths. 3269 May Apple Court, Ann Arbor. $339,900. 2468 square feet with 4 bedrooms and 2.1 baths. 3300 Tiger Lily, Ann Arbor. $350,000. 2421 sq. ft. +850 in finished lower level, 4 bedrooms and 2.1 baths. Last year at Hawthorne Ridge, 4 homes sold with an average sale price of $346,712 and average price per square foot of $131.76. So far this year, the ASP is down at $313,300, but the A$/SF is steady at $131.70. 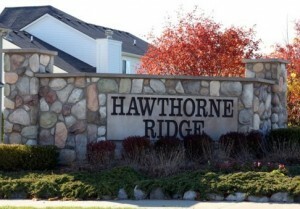 To learn more about home values at Hawthorne Ridge, give us a call at 734-761-3060 or email info@bouma.com. We are constantly analyzing the Ann Arbor Real Estate market and know what’s going on in each neighborhood, price range, school area, and more to help keep you up to date at all times! Hawthorne Ridge Subdivision is a large community of fine Ann Arbor homes located in Pittsfield Township. 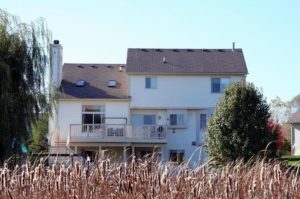 It is a popular choice for Ann Arbor home buyers, as it has a great location and acres of natural areas. There are currently 3 homes listed for sale, 1 available for rent, and so far this year 2 homes have sold and 2 have been rented out. $314,900. 2492 square feet with 4 bedrooms and 2.1 baths.